Hello to you here on Audiko.net! 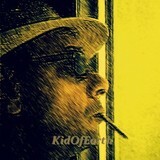 We propose to download a free KidOfEarth ringtones for your iPhone or mobile. Scope out your favorite episodes from your favorite song - Good Vibes in the Street ©Read the description bef, To Jeanne... .©, Children, Wisdom Of Tomorrow? ©*See the translatio, or any other track. Here you can download your tune both in the MP3 and m4a formats, played by both mobile phones and iPhones. Just select a track, and choose free KidOfEarth ringtones download option. Africain ©. See the English translation.